In the last decade, film's capacity to provide an immersive experience has increased dramatically, from 3-D glasses to progressively uncanny CGI representations of humanoid creatures. While the 3-D box office boom and its subsequent falloff remain the subject of some debate, two of the three highest grossing films of all time were rendered using the relatively new technology. What might this mean, asks J. Hoberman, for the medium or film, and for the increasingly imbricated relationship between art and reality? In the immediate aftermath of World War II, the French film critic André Bazin characterized cinema as an idealistic phenomenon and cinema-making as an intrinsically irrational enterprise. "There was not a single inventor who did not try to combine sound and relief with animation of the image," Bazin maintained in "The Myth of Total Cinema." Each and every new technological development—synchronous sound, full-color, stereoscopic or 3-D movies, Smell-O-Vision—served to take the cinema nearer to its imagined essence, which is to say that "cinema has not yet been invented!" Moreover, once true cinema was achieved, the medium itself would disappear—just like the state under true communism. Writing in 1946, Bazin believed that this could happen by 2000. ... In fact, something else occurred: the development of digital computer-generated imagery (CGI). Bazin had imagined cinema as the objective "recreation of the world." Yet digital image-making precludes the necessity of having the world, or even a really existing subject, before the camera—let alone the need for a camera. Photography had been superseded, if not the desire to produce images that moved. Chaplin was perhaps but a footnote to Mickey Mouse; what were The Birth of a Nation and Battleship Potemkin compared to Toy Story 3? 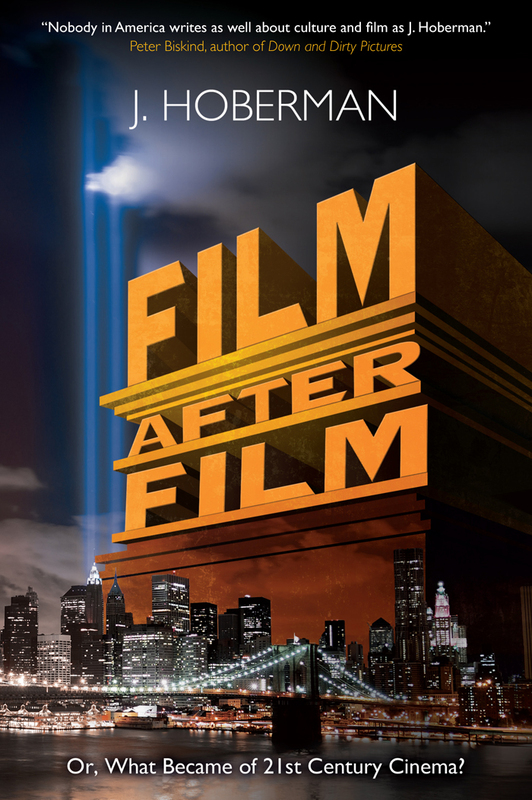 The essay, which follows the lineage of what Hoeberman calls "android" CGI technologies in films from Jurassic Park to Christian Marclay's decidedly more cryptic The Clock, is adapted from Hoberman's long awaited new book, Film after Film (Or, what Became of 21st Century Cinema? ), out this month with Verso Books. Hoeberman's conclusion -- a proposal for the periodization of our current cinematic moment-- may surprise you. To read Hoberman's essay in full, visit the New York Review of Books. Should you find yourself eager to revisit some of the films Hoberman mentions, his curated series "Film after Film" will continue to run at the Museum of the Moving Image through October 3rd. To view a full program of the scheduled screenings, visit the museum's website.